What do solar panels and education for Melanesian youth have in common? Hard-working mothers, sisters and daughters from the Solomon Islands who travel to New Zealand each year to support their families. As Roselyn Givi and Janet Meimana pick fruit under a scorching Hawkes Bay sun, they exchange cheeky banter in Tok Pijin, the language of the Solomon Islands. They’re teasing each other about their menfolk, babies and whether they’re picking fast enough. 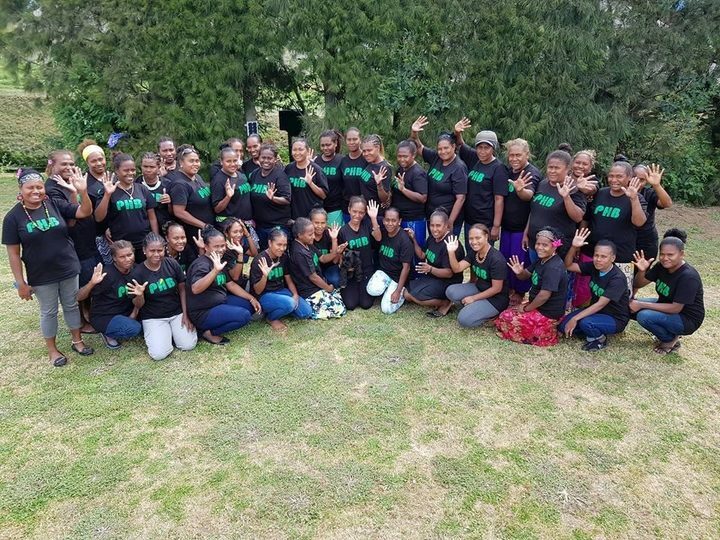 They may be chatty among themselves, but this is the first time that Solomon Island women, working here under the Recognised Seasonal Employers scheme (RSE), have shared their stories. 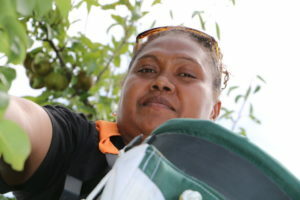 Roselyn and Janet are among 75 Solomon Island women recruited by Pick Hawkes Bay to harvest blueberries for Gourmet Blueberries in Hawkes Bay this year. Orchard jobs run for an arduous six to nine months of the year through the blistering heat of summer and into the numbing cold of winter. At the peak of the season workers might toil up to 12 hour days a day, six days a week. It’s not for the faint-hearted. “Seven kilograms per hour, that’s the minimum wage per hour,” says Janet, 31, who started her RSE work in Hawkes Bay in 2009 when she was just 22. That’s $1600 per week in the hand after costs, which is good money for the women; six months work here will equal two or three years of wages back home. Roselyn hails from Malaita Province, about six hours boat ride east of the Solomon Islands’ capital, Honiara. “It’s my dream that I’m here in New Zealand to work,” Roselyn says, who started off grading apples in a Flaxmere packing shed in 2011. Roselyn prefers picking outdoors, despite temperatures that can sometimes reach 36°C. For Roseyln, missing her teenage daughters Elizabeth and Margaret – named after the Royal family – is the hardest part of the job. Her daughters were nine and 12 when she first left the Solomons. “It’s really hard when you stay [away] from your kids since they were small,” she says. Her younger girl is still at school and the older daughter is about to start university. “I’m here to earn money to paying the school fees, and meet the needs of the whole family,” says Roselyn. Roselyn’s radiant smile masks a tragic story. She was working in New Zealand when her husband suddenly passed away from heart problems early last year, leaving her as the sole provider for her extended family. “I have to work hard now,” says Roselyn, wiping away tears. As well as educating her daughters and feeding her family, Roselyn’s wages have helped make a significant improvement to village life, by paying for solar panels. Janet is from Santa Isobel Island, in the outer provinces of the Solomon’s archipelago. She is the eldest child of four and her parents still live there. When Cyclone Ita washed away their crops in 2014, Janet’s RSE earnings fed her family and rebuilt their home. Janet’s youngest sibling, a 24-year-old brother, has his university education completely paid for by her. The RSE scheme came into effect in April 2007 and allows horticulture and viticulture industries to recruit workers from overseas for seasonal work when there are not enough New Zealand workers. That’s a work force of up to 11,000 temporary migrants from nine Pacific countries. Pick Hawkes Bay manages 400 RSE workers, 133 of whom are Solomon Islanders. Accommodation is communal, but segregated and comfortable. A spacious hall doubles as a TV room and a church that gets packed out on Sundays. 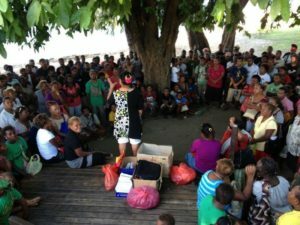 Anthony Rarere, the general manager of Pick Hawkes Bay, acknowledges that people in the Solomons are desperate for work. “A lot of my workers spend more time in New Zealand than they do in their own country.” Anthony says. While most pickers to date have been men, there are growing numbers of women. This year the work scheme is benefiting 200 women who come from across the Pacific.